For Karlee Price, UMaine Means Opportunities–Lots of Them! Four years ago, Winslow, Maine native Karlee Price gave the University of Maine a chance. Four years later and about to graduate, she has no regrets. “I thought I wanted to leave the state (for college), but once it came down to it, I knew I wanted to come to UMaine because it had everything I wanted,” Price said of her decision-making process. “My family has all come here, and I knew they all had great experiences.” In fact, Price is a third-generation Black Bear. 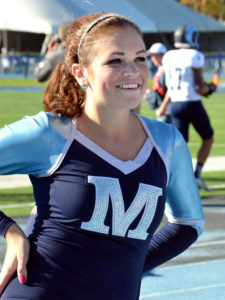 Following her family’s lead, Price not only excelled in academics, but also became an active member of the UMaine community. She is president of Panhellenic Council, a member of Alpha Phi sorority, and a captain of UMaine’s Dance Team. “I love getting to represent UMaine when I’m in my uniform,” Price said. She shared that one of her favorite on-campus events is Homecoming. During that weekend, Price performed at President Hunter’s house, where she had a chance to demonstrate UMaine spirit to visiting alumni and guests. Like many students, Price went through a stage of being unsure about her major before choosing Communication Sciences and Disorders. However, the opportunity to do research introduced Price to various possibilities in her field. 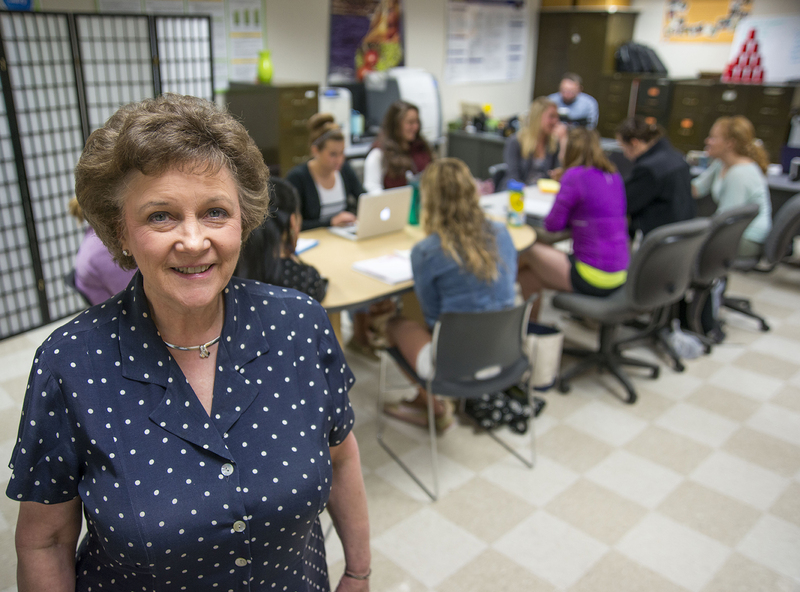 For the past three years, Price has been working with a team of graduate students on a speech therapy telepractice program led by Dr. Judy P. Walker. Telepractice provides interactive speech therapy services to children and adults with communication disorders in rural parts of Maine. 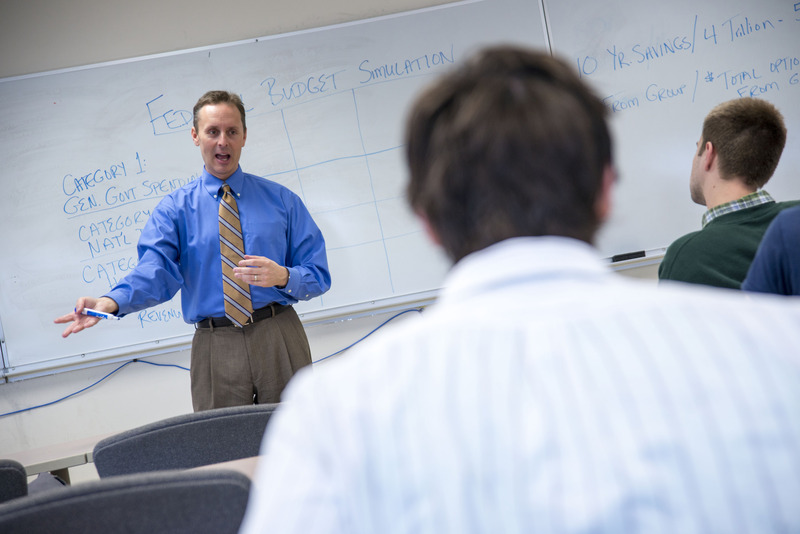 Price’s career interest lies in working with aphasia patients. Typically caused by a stroke, aphasia is a disruption in one’s ability to communicate. Price is driven to help others and believes that there’s a great need for speech pathologists. Upon graduation, Price plans to attend graduate school and UMaine is her top choice. Advice that Price would give to UMaine students is that it is never too late to get involved. whose leadership on campus and in the classroom are making a difference. People tell UMaine Engineering Professor Per Gårder that he’s a life-saver. For good reason. In 1992, along with UMaine colleague Dr. John Alexander, Gårder began the first academic research in the United States on the effectiveness of rumble strips, those corrugated sections of roadway that create loud noise and vibration when a vehicle’s tires cross over them. Rumble strips along the sides and middle of roadways help get the attention of inattentive or drowsy drivers, often preventing highway accidents and fatalities. Thanks in large part to Gårder and Alexander’s research, the first rumble strips in Maine were installed in 1994. And they have made a difference. “I meet people who say they are alive thanks to being woken up because of rumble strips,” Gårder said. Since joining UMaine in 1992 as a faculty member, Gårder has been on the frontline of breakthrough research, contributing to numerous firsts in the civil engineering field. Born in Risekatslösa, Sweden, Gårder knew in high school he wanted to study civil engineering. He received both his master’s degree and Ph.D. at Sweden’s Lund University. Consistently ranked among the top 100 universities in the world, Lund is among the oldest and largest universities in northern Europe. Of the many reasons Gårder enjoys his faculty position at UMaine, his students are foremost. “We have smart and respectful students who are willing and wanting to learn,” Gårder offered. His advice to UMaine students would be to learn a new language. 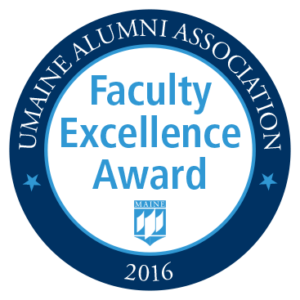 Each month the UMaine Alumni Association, with support from University Credit Union, recognizes an outstanding faculty member who is contributing to UMaine’s national reputation for academic excellence. Selections are made in consultation with UMaine’s deans. 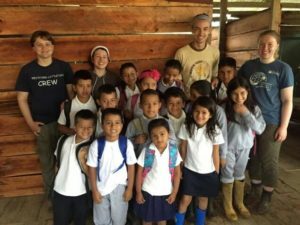 This December, members of the University of Maine student group Engineers Without Borders will embark on a second assessment trip to the community of El Descanso, Ecuador. The trip is intended to lay the groundwork for the development of a sustainable water supply system. In May 2016, four EWB-UMaine students completed an initial visit to the 120-person community. Much of El Descanso consists of subsistence farmers who are food rich, but economically impoverished and often lacking in water supply. The main goal of the project is to obtain a clean, year-round water supply, which would help improve the health and economic situation of El Descanso citizens. During the previous assessment trip, the team investigated additional sources for water collection. From Dec. 16 through Jan. 11, four students and one mentor will travel to El Descanso. The trip falls during the dry season and will hopefully yield quantifiable data as to which sources can effectively sustain the community. EWB-UMaine’s first project spanned five years and was completed in 2013. It resulted in the implementation of a septic system for a community in Dulce Vivir, Honduras. Brady Davis, a senior Business Management major, says the opportunity to participate in UMaine’s Honors College sold him on enrolling at UMaine. He’s turned that decision into a variety of learning and social experiences that will help him advance issues related to food and economic sustainability. A native of Freeport, Maine, Davis visited a number of college campuses before deciding where to enroll. While in Orono, he visited the university’s Maine Business School (MBS) and met with faculty members. Davis also observed Honors preceptorials (facilitated small-group discussions). He says the Honors College’s small classes and student-led discussions drew him to UMaine and to joining the Honors College. 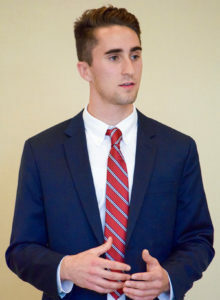 Davis is the current president of Senior Skulls, an honor society that promotes campus excellence and traditions, and serves on the Honors College Student Advisory Board. Davis is also a member of Alpha Tau Omega fraternity, a student ambassador of MBS, and a co-ambassador of the Senator George J. Mitchell Institute. Davis is currently working on an Honors thesis on the sustainability of Maine’s artisanal cheese-making. After graduating in May, Davis hopes to gain work experience in his field or travel abroad. Davis believes that an experience outside of his comfort zone will expand his worldview. He says he intends to link his business education with an aspect of sustainable development in the food system or another sector of the economy. Davis plans to work on implementing sustainable solutions to some of the most pressing social, economic, and environmental issues from a business perspective. Like so many others who move to Maine from elsewhere, Dr. Richard “Rich” Powell was drawn to the state’s natural beauty and special quality of life. Those attributes, as well as connections within the political science community, led him in 2001 to the University of Maine, where he has become a highly regarded teacher, researcher, and colleague. Powell is a political science professor and director of UMaine’s Cohen Institute for Leadership & Public Service. He was teaching at Hamilton College in upstate New York when then-UMaine political science professors Matthew Moen and Kenneth Palmer told him about an opening in their department. “I had gotten to know them professionally, and we did a lot of work in similar areas,” Powell explained. “I was interested in the idea of working with them.” Having vacationed in Maine several times, he was also excited about living closer to the ocean and mountains. Now, fifteen years later, he remains excited about the career choice he made. “I love to come to work every single day,” Powell said. Colleagues and students alike praise Powell for his work as a researcher and as a teacher. He is the author of numerous journal articles on presidential-congressional relations, state politics, leadership, and more. But he seems to find his greatest joy in working with students. He shared that “helping people discover what it is that they truly want to do, and helping them build a career in an area they enjoy” is immensely fulfilling. Powell earned master’s and doctoral degrees from Northwestern University in Chicago after receiving his bachelor’s degree from Connecticut College. At UMaine he oversees both the Peter Madigan ’81 Congressional Internship Program and the Kenneth Palmer Maine State Legislative Internship Program. In addition, he is widely regarded within national and international political science circles for his scholarly work on the U.S. Presidency. In 2011-12 he taught graduate-level courses on American government and politics as a Fulbright Fellow at Zhejiang University, one of China’s most highly regarded academic institutions. He, his wife Angela, and their three children lived in a three-bedroom apartment in Hangzhou, a city of eight million residents located south of Shanghai. Along with deep attention to family life, Powell enjoys playing golf, going to UMaine hockey games, and exploring the Maine outdoors. 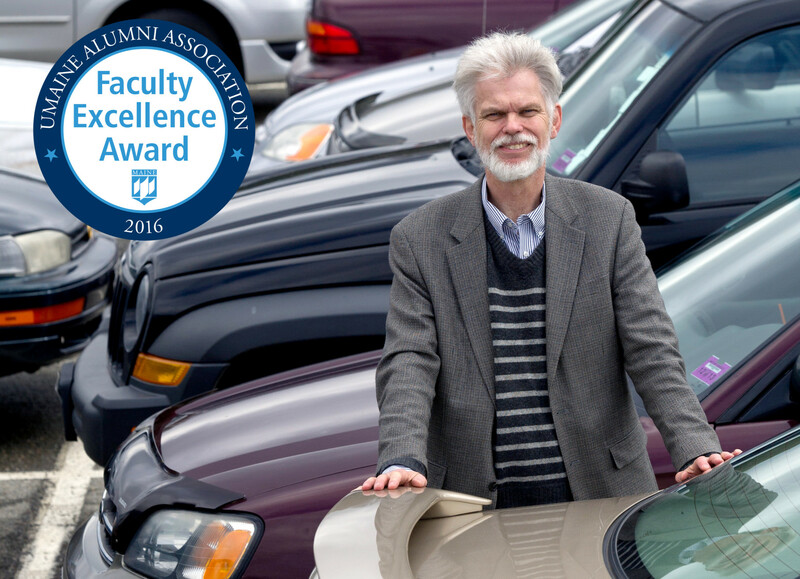 The University of Maine Alumni Association and its supporting partner, University Credit Union, are pleased to recognize Dr. Richard Powell with the November 2016 Faculty Excellence Award. To many, Dr. Adrienne White, professor of food science and human nutrition, is the personification of a land-grant university. A UMaine faculty member since 1988, Dr. White has influenced thousands of lives as a teacher, researcher, mentor, and public servant. She has also earned state and national recognition as a ground-breaker and leader in the field of human nutrition. In short, she is a difference maker. “Adrienne’s contributions to the nutrition education profession and dietetics is truly exceptional and unparalleled,” noted Dr. Kendra Kattelmann of South Dakota State University. She cites the millions of research grants Dr. White received for work on nutrition, obesity, and other health and dietary issues; the dozens of peer-reviewed research publications she has written; the numerous national and international awards and honors she has received; and her leadership in professional organizations such as the Society of Nutrition Education and Behavior (SNEB), an international association of professionals actively involved in health promotion and nutrition education. Dr. White is SNEB’s president-elect. But it is her willingness to involve her students—current and former—in her teaching, research, and service activities that receives constant thanks and mention. Gordon Hamilton, a University of Maine professor in the School of Earth and Climate Sciences, and a researcher with the Climate Change Institute, died in a field accident Oct. 22 while conducting research in Antarctica. He was 50. Hamilton, a physical glaciologist, was working on White Island in the Ross Archipelago in Antarctica, an area where he has conducted research for several seasons, when the snowmobile he was riding hit a crevasse. He was killed in the 100-foot fall, according to the National Science Foundation. Hamilton was conducting NSF-funded research at the time of the accident. Hamilton joined UMaine’s Climate Change Institute in 2000 as an assistant research professor. Prior to coming to Maine, he was at the Byrd Polar and Climate Research Center at Ohio State University and the Norwegian Polar Institute in Oslo. Hamilton studied the behavior of modern ice sheets and their role in the climate system. His research focused on understanding ice sheet mass balance — how much mass is coming in and going out, and the processes responsible — and involved satellite remote sensing. His current research projects included ice-ocean interaction in Greenland and ice shelf stability in Antarctica. Hamilton also taught UMaine undergraduate and graduate courses, and was involved in statewide STEM initiatives for grades 9–12. 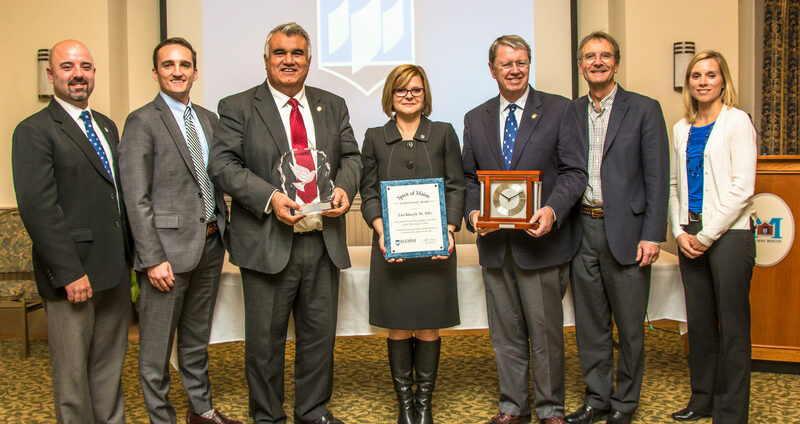 The University of Maine Alumni Association honored three outstanding alumni during an awards ceremony at Buchanan Alumni House on November 5. David Bronson, M.D., of Moreland Hills, OH, received the Alumni Career Award, which recognizes UMaine graduates who have distinguished themselves in professional, business, civic, or public service areas. Past recipients include U.S. Sen. Olympia Snowe, author Stephen King, and former Eastman Kodak CEO Colby Chandler. Bronson, a 1969 UMaine graduate, has worked at all levels of the medical field to improve the delivery of care to patients. As a physician, researcher, professor of medicine, and president and CEO of the Cleveland Clinic Community Hospitals and Family Health Centers, he has dedicated himself to improving access and making medical care better for patients everywhere. “Dr. Bronson has distinguished himself as a medical educator, an academic physician with a focus on quality of care and patient-centered health and prevention, and a leader in a large health care system that is a model for integrated medical care in the country,” said colleague Phyllis A. Guze, M.D. Bronson is past president of the American College of Physicians and has served in various capacities with the American Medical Group Association and the American Medical Association. A native of Bath, ME, he has been recognized as one of the “Best Doctors in America” for several years, and was honored as a “Living Legend” and “Cleveland Father of the Year” by the Center for Families and Children. Dr. Mian Riaz ’92 Ph.D. received the Bernard Lown Alumni Humanitarian Award in recognition of his service to humanity. The award is named in honor of Nobel Laureate Dr. Bernard Lown, a UMaine graduate who has devoted his life to world disarmament and the advancement of human health. Past recipients include Dennis Rezendes, who pioneered the hospice movement in the U.S., U.S. Ambassador Pamela Murphy White, and human rights lawyer Arthur Serota, who has led a movement to end child soldiering in Uganda. Dr. Riaz of College Station, TX, is an internationally renowned expert on food processing who directs the Food Protein Research and Development Center at Texas A&M University. He has demonstrated a commitment to sharing his expertise with people in the developing world, coordinated numerous international workshops and symposia related to the use of extrusion technology, which can help to reduce food insecurity, and worked to improve the nutritional quality of foods for people as well as feed for animals and aquaculture. “The communication of his research findings to others so that people around the world can benefit from the results of the work,” is perhaps his greatest contribution, offered Richard Clough, Head of the Extraction and Protein Technology at Texas A & M University. “The tremendous depth and breadth of his involvement in international scientific endeavors and active involvement in the exchange of ideas in food science and technology” has contributed to food science around the globe. The Spirit of Maine Achievement Award was presented to Dr. Ewa Kleczyk ’01, ’03G. 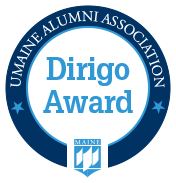 The award recognizes an individual who graduated from UMaine within the last 15 years and whose accomplishments, commitment, and initiative in a profession, business, or public service arena reflect the university’s high standards and vitality. Previous recipients work in such varied fields as archaeology, space exploration, theatre, and international relations. A native of Poland, Dr. Kleczyk received the award for her successful career in the pharmaceutical marketing research field. As a young professional, Kleczyk has been recognized as a rising star, providing data, analysis, and other aspects of the pharmaceutical industry, and has received numerous awards and recognition. She was named a Top Female Executive in 2015 by the International Women’s Leadership Association and received a Top Five Business Women Award from the New Directions Chapter of the American Business Women’s Association. Kleczyk is also a dedicated and passionate mentor, and offers guidance to young people, both in her field and to students. 2016 Atlantic Miniboat Regatta with a nearly 5-foot unmanned sailboat equipped with GPS to track its voyage to Europe by way of the ocean currents. The regatta is organized by Educational Passages, a Belfast, Maine-based program that teaches school-age children about ocean sciences. Since 2008, the program has worked with university partners and others to help elementary, middle and high schools sponsor and launch more than 50 small boats in Maine and across the globe. Schools, colleges and organizations from as many as eight countries are scheduled to take part in this fall’s regatta. The goal of the event is to have as many of the little boats as possible circle the entire North Atlantic Ocean. Onboard GPS tracking will allow Marine Sciences Club members and other regatta participants to figure out when their vessels are close to making landfall. The minisailboats are expected to make multiple stops on their voyages around the North Atlantic. All of them will carry instructions, asking those who find the boats to take them to nearby schools. Regatta participants will then work with their new school partners to relaunch the boats. 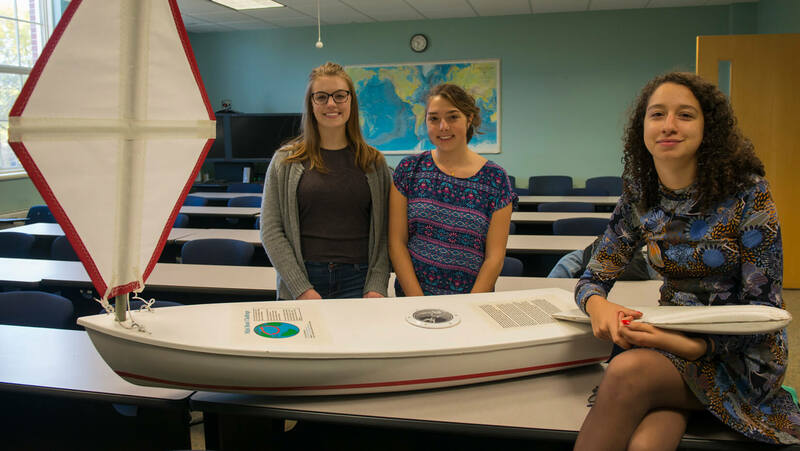 “We want to raise awareness about ocean currents and try to educate people, especially young children, about the ocean,” says sophomore Emily Tarr, a UMaine marine sciences major and club member. For all its sophistication, the UMaine miniboat looks simple on the outside, a slightly larger version of the kind a toddler might play with in the bathtub. The nearly 5-foot hull is white with a red stripe around the base. A diamond-shaped, white sail with a red border stands upright at the end of the bow. The Marine Sciences Club is partnering with the Maine Coastal Program on the project. Both are working with Educational Passages to get local elementary, middle and high schools to participate. Students will be able to follow the UMaine minivessel’s progress via the Educational Passages website. Members of the Marine Sciences Club will test the seaworthiness of the small sailboat in the Alfond W2 Ocean Engineering lab in the UMaine Advanced Structures and Composites Center. It will then be transported to Portland. There, a member of the Portland Fish Exchange’s fishing fleet will take the minivessel out beyond the Gulf of Maine and launch it into the open ocean. The miniboat is expected to follow the currents in the North Atlantic Gyre and, if all goes well, reach Europe in a few months. Along the way, its GPS will send pings back to club members twice a day. It will also collect wave, wind and other data that students will be able to study. It’s the same kind of data that Argo floats provide in real time, on the internet, as they bob along at different depths in oceans across the globe. This summer, Olivia Conrad, a fourth-year student from Yarmouth, Maine, majoring in food science and human nutrition, landed a sweet internship at one of Maine’s premier gelato companies. Conrad was the food safety intern at the Gelato Fiasco Flavor Foundry in Brunswick, Maine, where pints are produced, packed and shipped nationwide. She assisted the company in developing documentation for food inspectors and food quality/safety auditors. Conrad also helped the company prepare for the implementation of the Food Safety and Modernization Act (FSMA), which all food producers must be in compliance with over the next few years. Not all of Conrad’s days were in the office. In the kitchen, she assisted with product packaging, learning about the machinery and equipment used to run a growing food production operation. She also helped with employee training on best practices in hygiene and food safety. Gelato Fiasco prides itself in embracing its Maine heritage. It uses locally sourced whole milk from Maine farms, as well as some of the state’s iconic seasonal ingredients, including blueberries, strawberries and maple syrup. Other flavors, like Maine Potato Donut and Red Flannel Whoopie Pie, are inspired by the state’s culture and identity. Interning for a growing Maine company elevated Conrad’s own sense of pride for her home state and its small business market. “It was fun for me to work for a company that originated in Maine and continues to grow and succeed in the business world — even outside of Maine,” says Conrad. Jason Bolton, associate Extension professor and food safety specialist for University of Maine Cooperative Extension, helped line up Conrad’s internship. He works closely with food and beverage companies in Maine’s 16 counties, focusing on food safety, quality and facility design. When he noticed most UMaine food science students completing their internships out of state, Bolton developed a program to help place students at internships in Maine companies. The goal is for these internships to lead to employment opportunities in Maine, says Bolton, who has worked with Gelato Fiasco on its recent expansion design as well as with food safety protocols. UMaine students offer an invaluable set of services and skills to the food businesses of Maine who may not have the resources available to acquire them through other means, Bolton said. Conrad regards her internship as a rewarding and valuable experience. She credits it with helping her develop self-confidence in the workplace, as well as in her chosen career path.